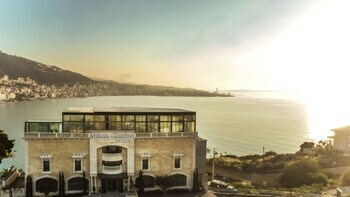 When you stay at Monte Cassino Boutique Hotel in Kfar Yassine, you'll be near the beach and 5 minutes by foot from Casino du Liban. Featured amenities include a business center, dry cleaning/laundry services, and luggage storage. Guests may use a roundtrip airport shuttle for a surcharge, and free self parking is available onsite. With a stay at Le Marly Hotel Beirut in Beirut (Hamra), you'll be within a 10-minute drive of Pigeon Rocks and Hamra Street. Self parking (subject to charges) is available onsite.